Figure 1: First sighting of SCP-3321. Photo taken by Luna 4 on 1963-04-05. Note the optical distortion towards the left side of the photo. Figure 2: Thermographic reconstruction of previous image. Special Containment Procedures: Due to its status as a small celestial body, SCP-3321 is currently uncontained. It is being autonomously monitored by Research Unit-5 at Lunar Area-32. Any significant changes to SCP-3321 are to be reported to the Director of Research and the Director of Containment at Lunar Area-32. Though SCP-3321 is physically uncontained, a joint effort has been made between MTF Gamma-5 and Foundation agents embedded in various government space agencies to prevent information leaks. This disinformation campaign has been, for the most part, successful. Web crawlers employed by Gamma-5 are to provide around-the-clock surveillance regarding any information that may pertain to the existence of SCP-3321. Description: SCP-3321 is a spacetime anomaly located approximately ~8,000 kilometers above the far side of the lunar surface. The anomaly is generally spherical with an average recorded diameter of approximately 3.2 kilometers. While initial data suggested that SCP-3321 was orbiting the Moon in a manner not atypical of other celestial satellites, more recent simulations have found SCP-3321 shares a unique co-orbital configuration with the Moon about Earth, but is unaffected by the Moon's gravity. SCP-3321 is completely eclipsed by the Moon at all times, making it undetectable from the Earth's surface. SCP-3321 is best described as a wormhole, but its properties are not consistent with the various theoretical prerequisites traditionally associated with wormholes1. It has a much weaker gravitational field than leading theories of relativity suggest is possible, and exhibits what can be best described as purely "optical" gravitational lensing2. SCP-3321 is very stable, has no electromagnetic field, and emits only trace amounts of particle radiation. It is possible to enter SCP-3321 from any direction in 3-dimensional space, and can be done so without causing damage to spacecraft. While its entrance exists in 3-dimensional space, its exit exists in 2-dimensional space. The reason for this is currently unknown3. Once entered, SCP-3321 leads to SCP-3321-1, an area that is believed to be an uncharted location in deep space. Evidence for this comes from the low density of visible stellar objects within SCP-3321-1. A pervasive nebulous gas (hereafter "cosmic foam") has likewise been observed throughout. This "cosmic foam" has been found to vary in color, is generally luminous, and is both warm and heavy. Its composition is unknown at this time4. SCP-3321 was first discovered on 1963-04-06, one day after the successful landing of Luna 4 on the Moon's surface. Though it was initially assumed by Soviet scientists to be an artifact of faulty data transmission, a Foundation operative embedded in the Luna program saw the images, copied them, and presented them to Foundation officials. After determining that the anomaly could not have been caused by the instruments present on the Luna 4 lander, the anomaly was given the SCP-3321 identifier. A misdirection campaign was subsequently launched to steer public interest away from the Luna 4 findings, with major newspapers being told that the mission was "not successful" due to the lander's "failure to change trajectory mid-course". Luna 5 successfully launches. Following a close flyby, returned imagery and data allows Foundation officials to accurately estimate the size and orbit of the anomaly. SCP-3321 is confirmed to be spherical with a diameter of approximately 3.2 kilometers. Based on a data transmission from Luna 10, the first usage of the word "wormhole" by Foundation personnel to describe SCP-3321 is recorded. Data is inconclusive due to several unexplained data points. Data collected by Luna 19 confirms SCP-3321 to be a wormhole of unknown origin. However, measurements taken of its gravitational field and radiation output indicate that it does not constitute a valid solution to Einstein's field equations. SCP-3321 is operating under physical rules not presently understood by mainstream nor Foundation physicists. Testing has been placed on temporary hold due to the technical and financial limitations of current Foundation spacecraft. At this time, entry, collection, and reentry of SCP-3321 is not feasible. As SCP-3321 does not appear to present a serious threat to Earth or Foundation integrity, testing has been suspended until further notice. The first expedition into SCP-3321 has been approved. Testing has summarily resumed. On Thursday evening of November 13, 1986, the first successful entry into SCP-3321-1 was conducted. A space probe was sent within 1 kilometer of the surface of SCP-3321. Retrorockets then deployed, allowing the probe to approximate the orbit of SCP-3321. A tethered camera was then extended into the surface of SCP-3321. Recorded video begins to play. After a few seconds out of focus, SCP-3321 becomes visible in the center of the frame. It resembles a giant reflective marble with no clear boundary between it and the space surrounding it. An occasional warped yellow-green glow is visible from within SCP-3321. The camera continues to go in and out of focus as the tether extends closer to the surface of the wormhole. After several minutes spent approaching SCP-3321, the camera makes contact with its surface. The video goes black for approximately twelve seconds, then snaps back into focus. A luminescent yellow-green cloud of unknown composition surrounds the frame. No stars are visible in the direction of travel. A camera attached opposite the main camera observes the tether extending from the surface of SCP-3321 and bending out of view. A small number of stars are visible behind SCP-3321—far fewer than are visible in local space. Sensors attached to the tethered probe measure an ambient temperature of 13.6°C and no exceptional radioactivity, electromagnetism, nor gravity in the local area. After approximately one hour spent recording the interior of SCP-3321-1 at various zoom levels and angles, the tether is retracted without complication. Playback ends. Following the success of the first venture into SCP-3321-1, human trials are suggested. On Friday, January 1, 1988, a second expedition into SCP-3321-1 was conducted. This mission marks the first human venture into SCP-3321-1. "Hello, testing, testing, 1… 2… 3… I think we're good. This video, along with everything recorded by the on-board instrumentation, constitutes Exploration Log 2. My name is Dr. Peterson, this is Dr. Pond, and this over here is Dr. Schmidt. In approximately two hours, Pond and I are going to be venturing into SCP-3321. The Soviets discovered it back in the '60s, but until recently we didn't have the space capabilities we needed to make the voyage. Because of that, the Foundation doesn't know a whole lot about it. We hope to change that." "We are about to descend into SCP-3321-1. We will detach from the shuttle's main body, and once our pod breaks through the horizon, we will begin dismount procedures. Pond will dismount first, followed by myself. We'll then collect samples of whatever is on the other side, take some pictures, and get the hell out of Dodge. Schmidt will be monitoring us remotely the whole time." "Alright. We are detaching in 3… 2… 1… now." "We are now approaching SCP-3321. From this angle, it looks like a giant bowl with a reflective bubble over the top. However, if someone was observing it from the other side, it would look exactly the same to them as it does to us. That's a fact." [over the intercom] "You guys are T minus 30 seconds from reaching the surface." "Roger that. We'll see you on the other side." "I think so. What was that?" "I think that was… spacetime flipping inside out. Can you hear us Schmidt? Did you catch that on video?" [over the intercom] "No, everything went black and your audio cut out, but you're back online. I was starting to get worried. Are you guys able to see that cosmic foam the last probe recorded?" "Umm, yeah. It looks like we're in a big, yellow cloud. Does this look like anything to you, Pond?" "Yeah, it does. Schmidt, we're ready to dismount." "How do things look up there, kid?" "Our wormhole looks a lot different. You see that?" "Yeah, it looks like an actual hole now, but it's just floating there. I've never seen anything like it. I wonder where we are." "I don't know, but I'm guessing we're still in outer space." "Do you think we could be in an entirely different universe?" "Possible, but I doubt it. We're alive, and all of our equipment is working, so that leads me to think we might still be in the same one. It's not proof, but it's a start." Research is being conducted on the composition of the sampled cosmic foam. Possible explanations for the lack of stellar objects opposite the mouth of SCP-3321 are also being considered. Nearly five years after the previous voyage, a solo expedition was conducted into SCP-3321-1. Dr. Samantha Pond was selected for the mission due to her familiarity with the SCP-3321 project and her eagerness to revisit SCP-3321-1. As nearly six months of audio data was transmitted over the course of the expedition, only the most significant commentary is included below. Recording start. My name is Dr. Samantha Pond. I have been part of the SCP-3321 research team for approximately six years, and was part of the team that made the first voyage into SCP-3321-1 in 1988. Something about that first expedition made me want to come back here, so I stayed with the team. Five years later, here I am, going back in. For this voyage, I am equipped with six months of supplies and will be untethered. The first three months of the mission will be spent traveling as deep as possible into the "far side" of the cosmic foam—the side without stars. I will be collecting samples of the foam every seven days. My shuttle—affectionately named Luna X—is equipped with three high-powered telescopes, tons of thermometers and spectrometers, and enough juice to keep it all running the entire time I'm out here. Images will be sent back to headquarters every twelve hours. Hello, Sam here. I just breached the mouth of SCP-3321 and am now in SCP-3321-1. It's just as I remember it. I know I should probably be nervous, but there's just something ethereal about this place. It feels like I'm at the edge of the universe. Sam here. I'm about two weeks in, and I just collected my third set of samples from this cosmic foam. Maybe it's my imagination, but even though the consistency is the same, the color of this sample seems slightly bolder than the last. I'm not sure if that's due to there being a greater density foam in this part of SCP-3321-1, or if it's actually made up of something different. I'll continue to collect samples and run whatever analysis on it I can. Hello world. It's been a month, and I just collected my fifth batch of cosmic foam. There's definitely something going on here. The farther I travel, the more the color of the foam changes. There has also been a marked increase in ambient temperature. It definitely feels like I'm heading towards something. I'm just not sure what. It's been seven weeks, and I just realized that I'm traveling faster than I should be. The thrusters aren't on, but the distance between myself and the mouth of SCP-3321 is much larger than was projected for this point in time. I'll keep you updated. It looks like that worked. It'll take a couple days for a complete reversal of trajectory, but I'm looking forward to getting home. If my math is correct—and it is—I should be able to make it home just in time for Christmas assuming nothing else happens. In other news, the cosmic foam is orange now, and it is much heavier than before. I can physically feel it push against me when I interact with it outside of the shuttle. The ambient temperature out here is also nearly three times greater than what was measured nine weeks ago. For some reason, it doesn't feel all that magical anymore either. It just feels… imposing. The ship's not bloody slowing down! It's been a week since I turned on the retrorockets, and even though I initially noticed a decrease in velocity, I am still moving away from SCP-3321. I'm turning up the thrusters in hopes that I'll be able to push through whatever is pulling me away, but if that doesn't work, I'll be stuck out here. Hello world. You last heard from me… two days ago. I'm out of fuel and I'm still being sucked away from SCP-3321. I can still measure my distance from the wormhole—sort of—but the error margin returned by the on-board instrumentation keeps increasing. All I know is I keep moving faster and faster. That imposing feeling I mentioned before has turned into an utter, absolute dread. I'm… I'm going to die here. I feel sick. Sam out. Hello world. I'm sixteen weeks out. I'm still collecting samples of this cosmic foam; probably out of habit now more than anything else. It's a dark, desaturated orange now, almost gray. It's not less luminescent, but it's… dark. I can't really explain it. I don't even know if you're receiving these images and transmissions anymore. I guess it doesn't matter, but at least it gives me something to do. Also, the on-board magnetometer started picking something up in front of my ship. Hell knows what the significance of that is. Do you remember how, a few months back, I described SCP-3321-1 as seeming like it was at the edge of the universe, so far away from everything else? Well… what if it actually is? What if SCP-3321-1 is the edge of the universe? What if all those theories about the universe being boundless are wrong, and I'm traveling towards the barrier between everything and nothing? What will I find there? I was also thinking… why does SCP-3321 exist in the first place? Its orbit makes no sense, and it is perfectly concealed behind the Moon. For all we know, it could have been there since the dawn of humanity, but was impossible to see until only a couple decades ago. Either it appeared on its own—perfectly positioned—or someone else put it there for us to find. Why? And why now? Everything is red. I just woke up and everything is red. It's been… twenty-two weeks now, I think. 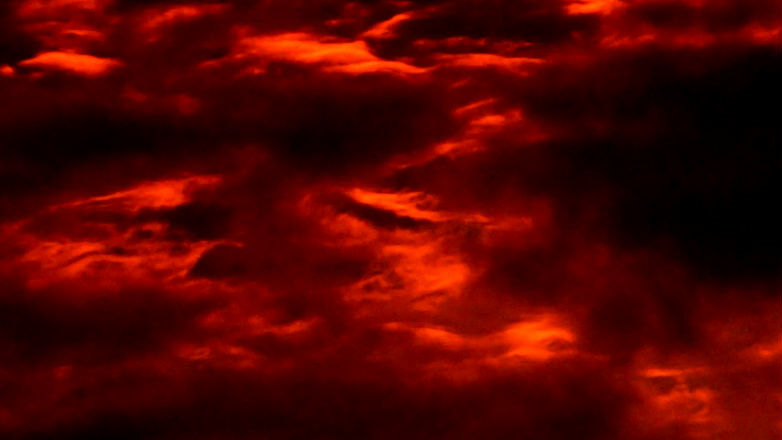 I've been sleeping a lot lately, but today I woke up and everything was red. The ambient temperature is about… double what it was two weeks ago, the magnetometer is freaking out, and everything is red. Wait a minute. I think I see something. It looks like this red foam just cuts off, and there's something on the other side. It looks kind of like… it looks like… oh my God. 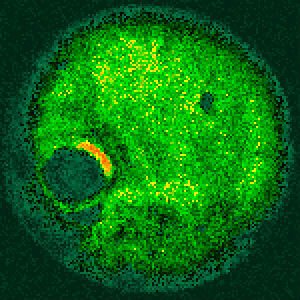 Figure 3: Final image transmission by Luna X. Received on 1992-12-27. Following a thorough investigation into the data returned by Luna X after its attempted trajectory reversal on 1992-09-05, it has been concluded that the retrorockets installed on Luna X were operating as intended. A new paper on the Luna X's unexpected velocity is published internally by Foundation scientists. Spectroscopic analysis of SCP-3321 over the course of the voyage indicates the speed increase may not have been caused locally nor externally. Instead, a significant redshift over the course of the expedition was identified, suggesting that the perceived increase in speed may have been caused by a rapid outward expansion of spacetime within SCP-3321-1, not an active force. However, the data does not agree with the metric expansion of space measured in the locally observable universe. The authors conclude that it is likely that "some well-regarded opinions of universe cosmology are, at the very least, inaccurate". 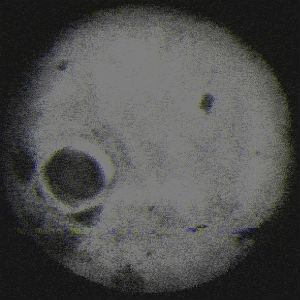 Though the physical samples collected during the Luna X expedition were never retrieved, a partial image of the cosmic foam's composition has been established via the preliminary GC-MS data gathered aboard the Luna X. Traces of hydrogen, helium, and lithium were directly observed, and a large amount of seemingly impossible results were likewise encountered. The authors of the analysis note that while some of the compounds may be "impossible to synthesize here and now, it is possible they would have been stable in the early universe". In the spirit of Dr. Samantha Pond's late reverie, they also acknowledge that "if the universe is neither boundless nor infinite, it is conceivable that some of these compounds could likewise be stable at the cusp of its expansion, where conditions are not dissimilar to the core of the early universe." The authors also concede that this is "highly improbable". Due to recent developments by various private space agencies and the increased likelihood of SCP-3321 being privately observed, SCP-3321 has been reclassified from Euclid to Keter. MTF Gamma-5 has been notified. This change is effective immediately. 1. e.g. General relativity and its alternatives. 2. i.e. Lensing is evident despite the weak gravitational field. 3. Various 4-dimensional and 5-dimensional hypercone models have been proposed. 4. GC-MS analysis has since found traces of hydrogen, helium and lithium. See Addendum 9.